Jason’s practice focuses on intellectual property and general complex litigation. He advises clients nationwide regarding development of new brands, clearing trademarks and prosecuting trademark applications. He also works with clients to enforce existing brands, including cease-and-desist actions, as well as initiating and defending disputes in federal court and the T.T.A.B. He brings years of experience working with household names and niche marks across a range of industries, goods and services, including insurance, consumer goods, toys, games, apparel, energy, entertainment, healthcare, pharmaceuticals, internet, financial products, and publishing. Jason has also served on litigation teams involving other areas of intellectual property, including patents, copyright, common law misappropriation and false advertising. 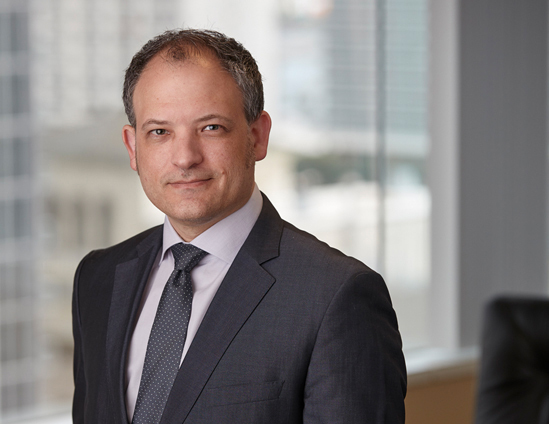 In addition, Jason works with complex litigation teams, representing both plaintiffs and defendants, as different matters in various industries are developed for trial. He frequently oversees other attorneys in complex discovery projects, including e-discovery. Jason previously worked as a behavioral science consultant, focusing on jury research and e-Health.